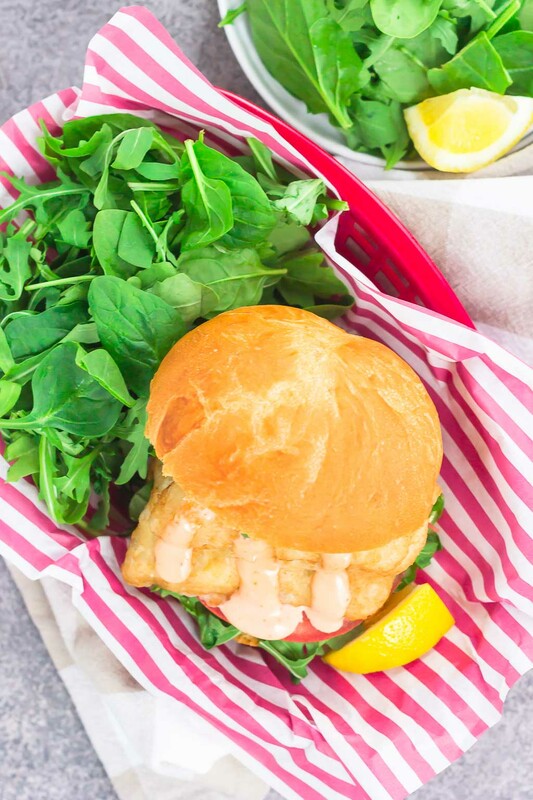 This Crispy Fish Sandwich with Sriracha Mayo is an easy weeknight meal that’s loaded with flavor. Crispy, beer-battered fillets are nestled on a toasted bun and topped with a creamy sriracha mayonnaise. Fast, fresh, and simple to make, this easy dinner is ready in less than 30 minutes! Let’s talk about seafood today. What are your feelings on this food? I feel like it’s pretty cut and dry. You either love seafood, or you hate it. And I, for one, am a huge seafood lover! I always have been, and alway will be. In fact, I have met a kind of seafood that I haven’t liked. Sushi, crab, lobster, oysters, mussels….you name it, and I love it! Now, let’s talk about fish. I love fish, too…but you probably knew that was coming, right? And I’m not picky with the type of fish, either. The hubster and I eat salmon quite often, at least once or twice a month, it’s just that good. And since Lent is almost here, that means it’s time for fish fry Fridays! The hubster and I try to eat fish on most Fridays during Lent and it’s one of my favorite time of the year (because of the food!). We usually go out for fish fries or to other restaurants for some seafood. But, I’m trying to get more creative in the kitchen with seafood recipes this season. And that’s where Gorton’s Seafood comes into play. It’s your guide for real, delicious seafood that’s ready in no time. 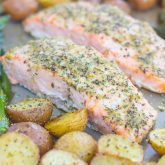 With Gorton’s, it’s easy to incorporate seafood into your diet on a regular basis. And there are a variety of products, too, which is perfect for any seafood lover. After coming across Gorton’s Beer Battered Crispy Fillets at Walmart, I knew I had found a winner. It’s very convenient for quick and easy preparation on busy nights. The taste is also incredible! It’s crispy, delicious, and appealing the fish lovers in my life. 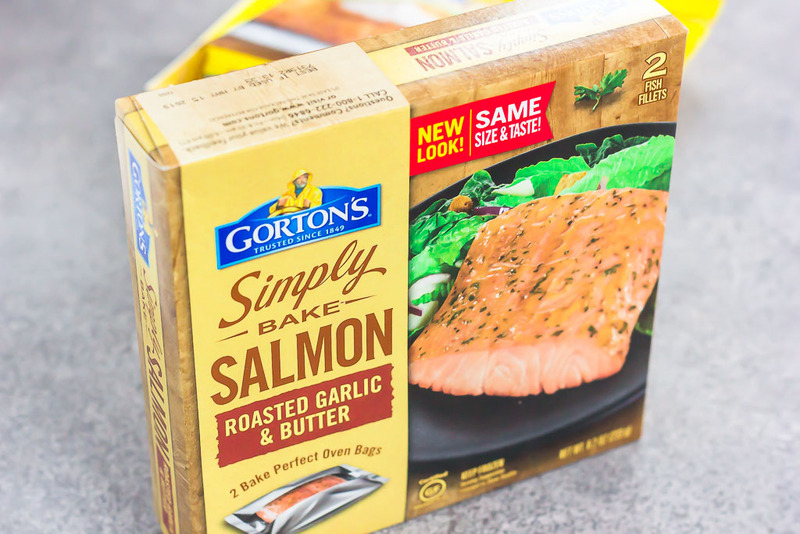 I also found Gorton’s Simply Bake Roasted Garlic & Butter Salmon. It has a chef-inspired taste and high-quality ingredients. And since the hubster and I eat salmon quite often, I knew this would be a winner. Want to learn more? Head over to the Gorton’s website or check them out on Facebook! After stocking up on the necessities at Walmart (including Gorton’s Seafood), I headed home to whip up a quick an easy meal for the hubster and I. And you know me…I’m all about the easy meals around here! And 30 Minute Meals just happen to be the name of my game. This sandwich is a breeze to whip up. Simply bake the fillets according to the package directions, and then add to a toasted bun that’s topped with some lettuce, tomato, and creamy sriracha mayo. Now let’s talk about this Crispy Fish Sandwich with Sriracha Mayo. The Gorton’s Beer Battered Crispy Fillets make the most delicious choice of seafood for this sandwich. And the name pretty much says it all…it’s crispy, tasty, and loaded with just a hint of beer flavor. Now onto that sriracha mayo! 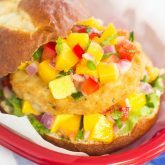 It add a subtle hint of heat to the sandwich, while still keeping the fish the star of the show. Add in some fresh lettuce, a tomato slice, and a toasted bun, and you’ve got yourself a dinner-time winner. 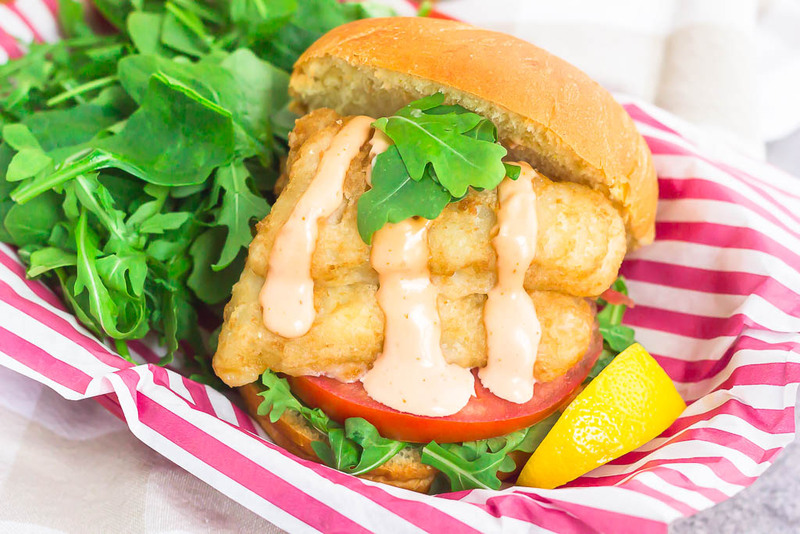 So if you’re looking for that easy meal for Lent or just want to incorporate more seafood into your life, this Crispy Fish Sandwich with Sriracha Mayo was made for you! 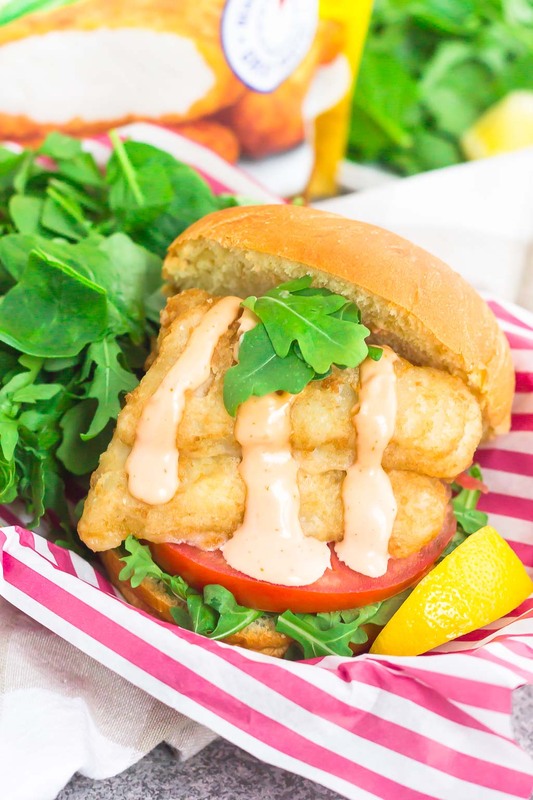 This Crispy Fish Sandwich with Sriracha Mayo is an easy weeknight meal that's loaded with flavor. 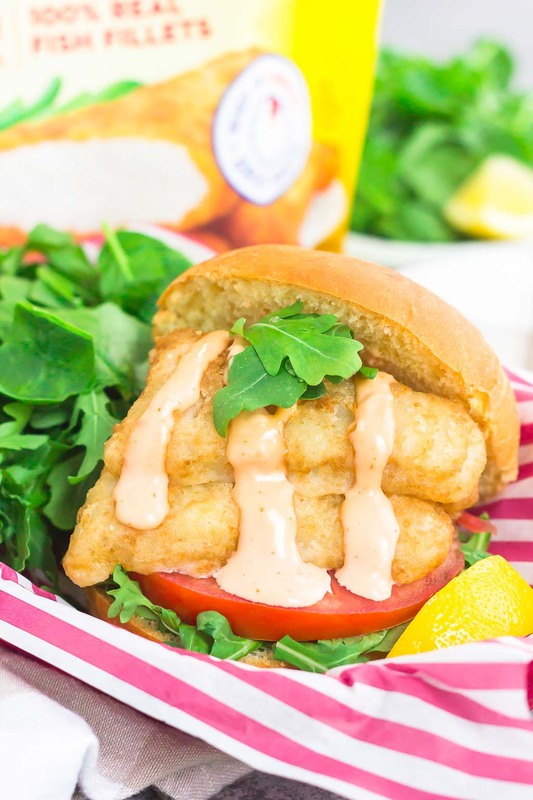 Crispy, beer-battered fillets are nestled on a toasted bun and topped with a creamy sriracha mayonnaise. Fast, fresh, and simple to make, this easy dinner is ready in less than 30 minutes! 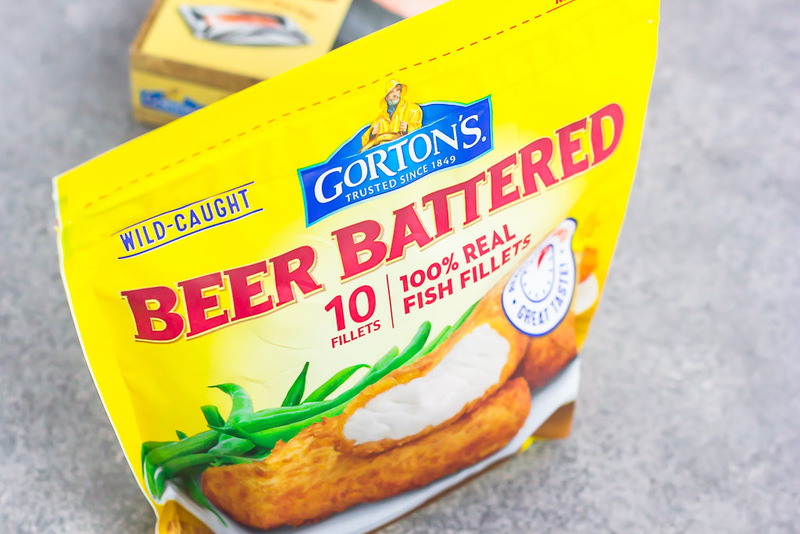 Arrange 4 Gorton's Beer Battered Crispy Fillets on a baking pan. Cook for 23-25 minutes, flipping after 14 minutes. While fillets are cooking, add mayonnaise and sriracha sauce to a small bowl. Stir to combine and set aside. If needed, add more sriracha sauce to your liking. 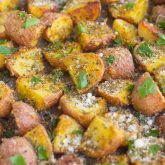 Add sliced bun, cut side up, to a small baking pan and broil on medium for 2 minutes, or until lightly toasted. Add lettuce, tomato, and Gorton's Beer Battered Crispy Fillets to bottom of bun. Drizzle sriracha mayo on top. Top with second bun slice. Like what you see? 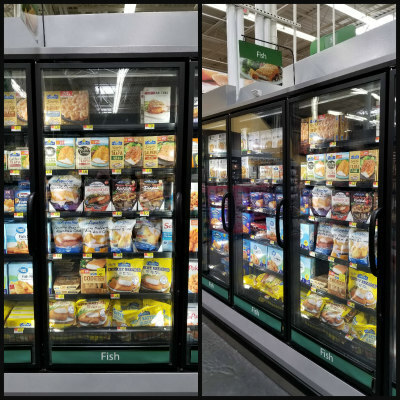 Then be sure to head to your nearest Walmart to check out their selection of Gorton’s Seafood. You can also follow Gorton’s on Pinterest, Twitter, Instagram, and Facebook. Love fish sandwiches, but don't have the patience to make them! 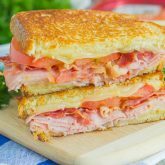 This looks so delicious and easy to make! Going to try it asap! I happen to LOVE fish and seafood... but then again I was a pescatarian for a decade before culinary school, so I guess I had better love it, right? ;) Needless to say I could DEVOUR this sandwich in about .2 seconds! SO crispy and delicious! Plus that spicy mayo is just the perfect pairing! Pinning! Cheers! I'm a huge seafood lover and can eat it every day! This is such a quick and easy meal that would definitely be a hit, and I'm loving that creamy sriracha mayo! Thank you, Christina! Hope you love it if you try it.